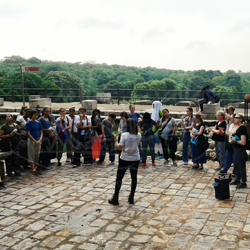 Hauz Khas Village is a perfect blend of history and modernity, where one compliments the other. A thriving modern day culture of cafes, restaurants and designer labels and hidden behind these are the medieval structures, with a sprawling man-made water reservoir. Winter: Between 9AM – 6PM, Summer: Between 7AM – 6PM.